Okay, we have ourselves a bib but what makes the costume is the "G" icon that's on the front of every minion's overalls. Here's what I did for that. Step 1 was go to the Internet and find a large photo of the icon. I printed it out on an 8.5 x 11 inch sheet of paper. Step 2 was to decide how I wanted the emblem to look. 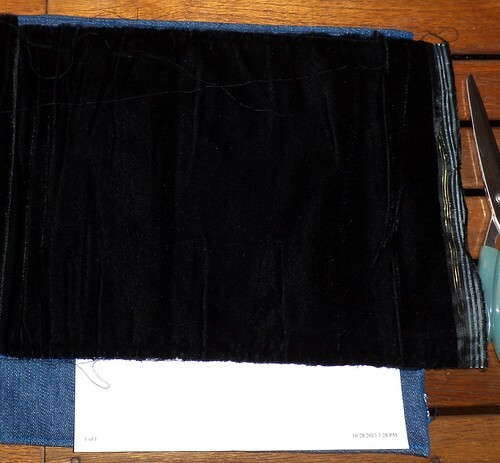 I didn't want to mess with too many different pieces of fabric here so, when I bought the denim, I also bought a remnant of black velvet. This would give a somewhat three-dimensional quality to the finished emblem. I hit upon the idea of using both sides of the fabric so I ironed the piece on the wrong side. Having been rolled up for a good while, it was really wrinkled. 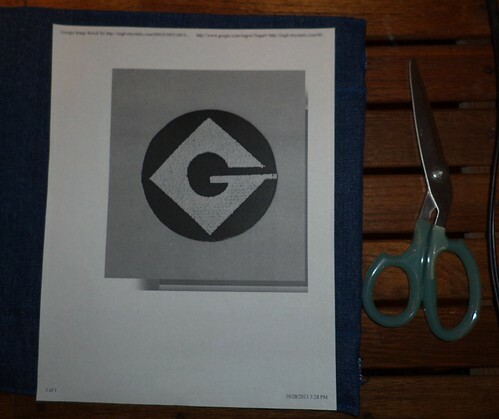 Step 3 is to cut out the emblem. 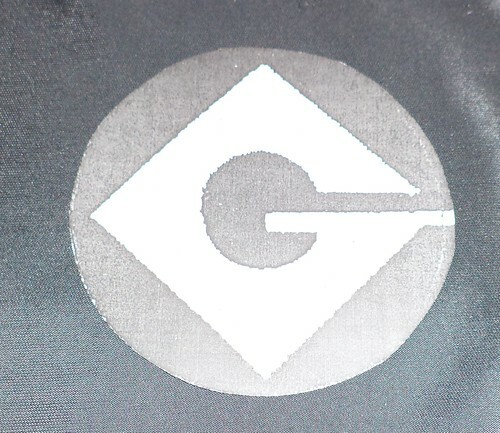 It's a stylized "G" in a circle, so the circle was cut out first. This is traced onto the back side of the velvet. 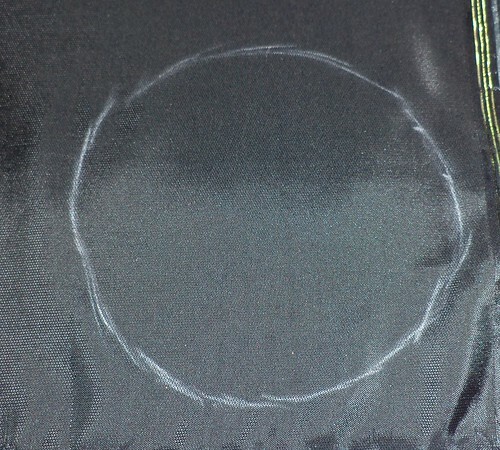 My tracing chalk pencils have seen better days, but the white one was adequate to trace around the circle. Step 5. When this was done, I cut out the "G". I'm going to make this from the front side of the velvet so it has to be traced upside down on the back side of the velvet. When this was done, both pieces were cut out of the velvet and both the extra velvet and extra denim were added to the fabric boxes. Some day, I'll figure out what to do with them. 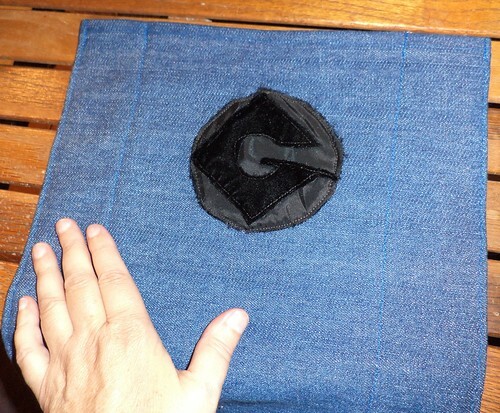 Step 7 is to sew the "G" onto the back side of the circle. I had problems with the black thread not coming off the spool properly so I grabbed the next darkest shade I could find. That wound up being a dark brown. 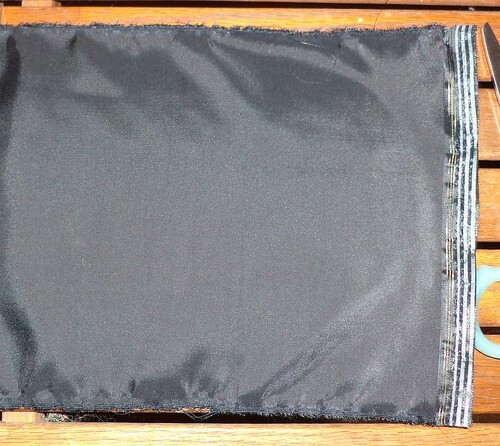 It looks black when attached to the bib. 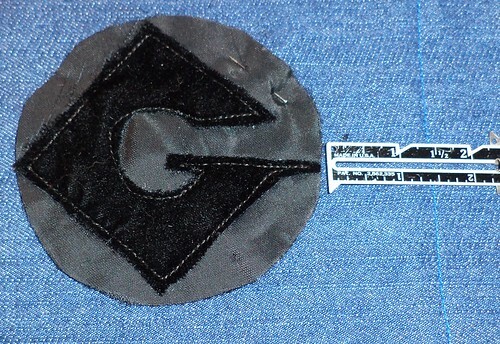 Once the "G" was attached, I measured, very carefully, to make sure that the circle was centered on the top of the bib. This part was very crucial for me. It's hugely noticable in the center top of the bib. If I was off on my placement by even an eighth of an inch, something didn't look 'right'. 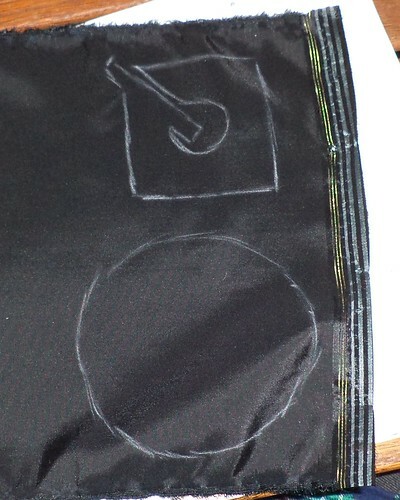 Once I was satisfied with the placement, I pinned the circle, started at the top point, and stitched it to the bib. 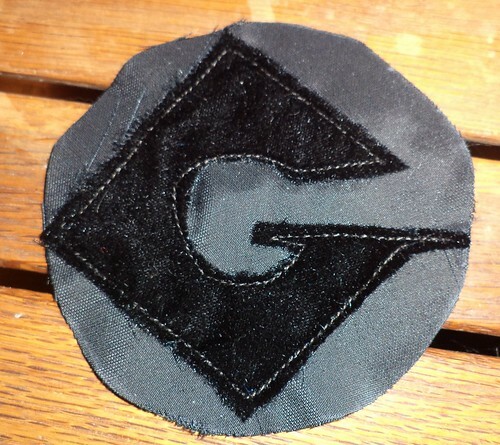 Because of the thickness of the velvet, there was a bit of puckering at the top of the "G", but it's turned under the point. Had I not used velvet, I wouldn't have gotten a pucker. 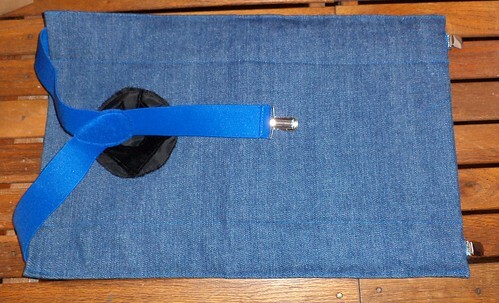 The last step, #10, was to thread the suspenders through both sides. The bib is done. But you're still not a minion yet. You need the goggles. Can't be a minion without goggles. In the next post, I'll show you how I made goggles.